A recent mobility study estimated that the global number of mobile users will amount to 9 billion in 2020. Guess what? – 2020 isn’t that far away! Smart businesses realized the potential of mobile a while ago and jumped headfirst into responsive design and mobile apps. Today, every business, big or small, startup or conglomerate, wants a piece of the mobile frenzy. Online presence in every possible format has grown to the level of being mandatoryClick To Tweet. In this scenario, building a mobile app may seem like the first thing any business has to invest man hours and money on – however there are a few considerations that deserve some thought before building a mobile app. Your reason to build a mobile app for your business must be very clear. There is an app for pretty much any product or service in the app store – Shopping, gaming, banking, tickets, food order and delivery, cab services – You name it, You get it. But only a handful manage to secure a permanent spot in user’s smartphones. What do such apps provide that other apps are unable to cater to? What are the key factors that lead to these handful of applications securing the coveted “App-real-estate” and having that edge over their competitors? How can your mobile app function as a technology building block that will help disrupt your competition? Most of such apps that actually manage to thrive and succeed in this overly saturated and competitive market have a few things in common – functional design, seamless UX, well-thought-out features, frequent upgrades and superior customer support. It is almost mandatory for an app’s success that all these boxes are checked. If these requirements are properly met, you will be able to serve your customers in their “Mobile Moments” that goes a long way in establishing customer loyalty. A mobile application is a very critical aspect of the overall digital strategy for any business. If your mobile app is not well thought out and well built, it can do more harm than help. 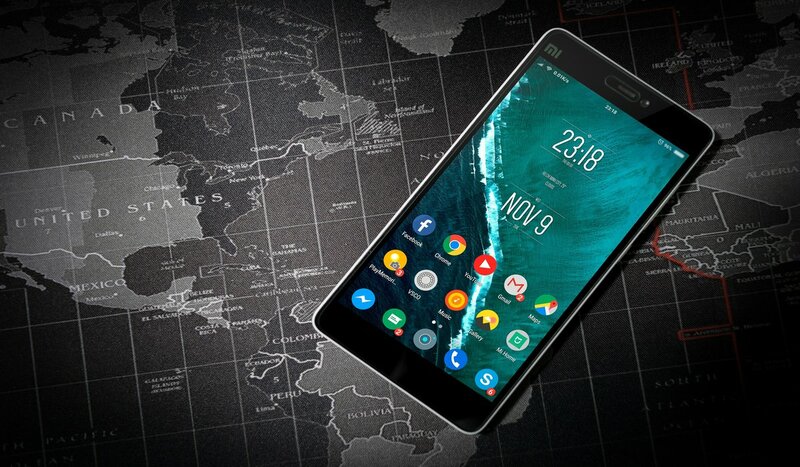 Thorough diligence is absolutely necessary before deciding on various factors that could potentially have a huge impact on the success of your mobile application and ultimately your business. The most basic success factors for any app – It has to be secure, scalable and user friendly. Whether you choose to hire an in-house team of skilled developers or collaborate with a strategic Digital Partner, having the right strategy in place about key aspects of the application such as design, deployment, support, and marketing is extremely crucial. In this article, we break down some of these key factors that need to be considered for your mobile application to be successful in engaging with your customers and help build long lasting relationships with your business. With just about 60 seconds to impress a customer, design and user interaction play a major role in the success of an app. Deep design competencies rooted in experience engineering help provide a good design experience for the customer. Here are some of the key elements that are vital to designing a successful app. Customer Journey Mapping: The first step in designing an app is building out a customer journey map. As the name suggests, customer journey mapping is the process of visualizing a customer’s journey or experience from start to end through various use cases within the app. This exercise helps in identifying key flows for implementing mobile solutions. UI/UX Design: Usability is key to a good user experience. The moment a user opens your app, he/she should intuitively be able to navigate and find exactly what he is looking for. The interface, including layout, visual design, text, brand, sound and interaction all need to come together perfectly in order to provide a great user experience. In fact, UX can mean the life or death of your digital product/presence. In this context, building personas, wireframes, concepts and prototyping it prior to coding is critical because it provides developers a visualization of the finished product and its functionalities. While designing the app, it is also important make it ADA compliant so that it can be easily used by differently abled people. User Testing: It is essential to get the prototype tested for user friendliness by a sample user base in order to ensure that the application is easy to navigate and provides users with a seamless user experience. Customer Focus Groups: Understanding the ‘what, how and why’ of customer behavior and observing their interactions with the app in a real world setting is crucial to the success of any application development exercise. Testing the final version of the app on a focus group in a supervised setting is an important step before releasing the app in the market. To give your mobile app and ultimately your business a competitive edge, engineering a scalable and secure back-end system is necessary. Your app developers must not only be equipped with excellent digital design competency, but heavy software expertise as well. Your application must be able to easily exchange information with other apps through relevant APIs that can perform build/buy analysis, gap analysis, cloud enablement among other relevant functions. The technologies and platforms you choose for developing your app can also make a huge difference. Today, building cross platform mobile apps using technologies like Xamarin makes most sense as it helps eliminate hardware issues and shorten the development cycle. While building a mobile application, a clearly defined architecture provides clarity about the design, features and functionality. It is not however limited to just the design and features of the application, instead, it can be applied on multiple levels such as business, user experience and data layers. While there are as many forms of architecture as there are programmers, a specific form of architecture that provides detailed architectural description of a specific solution is solution architecture. This type of architecture is quite relevant in the context of building applications, since it provides detailed potential options, aids in selecting the most optimal one and develops the roadmap for the selected option. Architecture also has a large bearing on certain key aspects of mobile application such as scalability, security and analytics. Scalability, or the ability to scale up based on traffic during peak time usage is a key differentiating factor from its competitors. A cloud deployed app has enhanced abilities to integrate with other cloud-based systems and appropriately scale during peak usage. Another key aspect to keep in mind while building an application is security compliance. With a steep rise in incidents of data breaches, it is of utmost importance that you take security compliances such as PCI, PII very seriously and ensure that steps are taken to protect personal and financial details of your customers. An application is a treasure trove of invaluable data – customer behavior, their preferences, buying patterns and various other types of personal data. However, understanding this data is by no means an easy feat. It can get unwieldy and too complicated to handle unless there are practices in place from the start to properly analyse and track this data, which can potentially provide actionable insights. 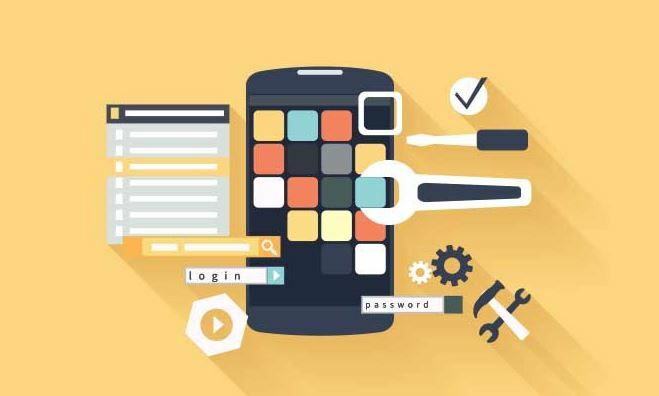 It is imperative to have a formal quality assurance team in place that can strategize as per requirements of the application and its users, capture user test cases, test the app’s functioning on various devices, platforms, screen sizes and operating systems to ensure that the application is calibrated for all real world scenarios. Once the app has been optimized to excel after numerous quality assurance testing iterations, the next step is deployment. Prior to that however, analysis of deployment maturity in case of a customer facing rollout is essential. Having a rollout plan and strategy in place that takes into account coordinating system changes, app submissions, marketing campaigns along with system readiness is advisable. While most plans look good on paper, only a pilot rollout can accurately demonstrate the effects deployment can have on the various departments involved and help in laying out a plan to handle all the changes. So it is pertinent that your team is capable of implementing and strategizing a pilot rollout prior to deployment. A pilot deployment is typically conducted in small scale. A large scale rollout however, is a completely different game and one of the key considerations is whether your team is capable of and experienced in handling a large scale rollout and addressing challenges that arise post rollout. The last stage of deployment is app submission, where the app is submitted to the app store to secure approval. Since each app store has different policies when it comes to app launch, this particular phase is typically based on the specific app store. Merely launching an app does not guarantee success, it might just create newer problems. Once an app is launched, processes need to be set in place to review design, code and fix bugs if any. Process framework methodologies such as Agile/Scrum can ensure rapid development with frequent deliveries and touch points with customers. An important aspect of this phase is knowledge capture, which essentially involves the conversion of data extracted from story capture, test case documentation and other areas into an actionable form. This phase is also one where insights into user and system requirements are gained through discussions, interviews and scoping studies. The routine updates and upgrades that follow the launch of the application take into account all of this information and use it to further enhance the application’s usability and features. Support and maintenance are critical in ensuring continued success of any application. Establish an issue management process that offers updates and flexible support packages to address customer issues. It is also a good idea to have a customer support team dedicated to resolve issues over call. The best feature-rich app with seamless UI might fail to make an impact if it does not reach its intended user base. This is where marketing comes in. A carefully designed marketing strategy structured around the latest trends, user attitude and behavior can exponentially increase the reach and desirability of the app among its user base. Leveraging customer feedback and app reviews while designing these campaigns can enhance user engagement in your marketing efforts. User engagement is crucial – Development and marketing teams need to be in sync – one to enhance user engagement, and the other to measure the effectiveness of the user engagement tactics employed. In fact, today, Marketing as a function has the power to create business model transformations – not just build a brand or drive incremental revenues. Your digital partner or in-house team needs to have a deep understanding of the target market, challenges, and your strategic intent as well. It is imperative that the team not only is technically skilled, but is also adept at creating deep design competencies that can handle the rigorous demands of the project as needed. A flexible engagement model with your digital partner can go a long way in minimizing risk and and keeping a check on your budget. While it is important to hire an adept digital partner, one must also keep in mind the proximity factor when choosing a team since face-to-face interactions go a long way in resolving issues and deciding on a specific course of action. If your plans about building a mobile application is just one of your many digital initiatives, it is a clear indicator that you are already pursuing digital transformation. However, if your organization is embarking on a new journey of building a mobile application or a cohesive digital transformation exercise, the process can seem a bit overwhelming with various options to choose from with respect to platforms, technologies and the skills to hire for. We have been privileged enough to have partnered with several such organizations who chose us to guide them through their foray into digital transformation. Take a look at some of the solutions we have provided our clients and if you would like to know how we can help you with your digital journey, give us a shout out.